behind white linen corners of the laundry line? Yes! It is you, Tiger Lily, it is you! Who can catch this cat? a smoking piano, a shuddering key? memory ticks back the days. bloomer, what will you bring me? I'll catch, catch, catch you yet. Late night bloomer. Hunter stalker. flick of flamenco, heels' percussion. Gracias! Miss Lily a cat? No way. Tuesday Poets who sat this one out: Zireaux, Sarah Jane Barnett, Booksellers NZ (Emma M), Helen Lowe, Kathleen Jones, Cathryn Fitchett, Jennifer Compton, Leah McMenamin, Elizabeth Welsh, Robert Sullivan, Belinda Hollyer. Tuesday Poem is three years old and over the three weeks starting April 2, 18 of our 30 poets, day at a time, from NZ to Australia to the US and France, contributed a single stanza to our communal 'jazz' birthday poem. And the whole extraordinary poem is here now, posted Tuesday April 23 2013. Why jazz? We wanted something that unfolded like jazz does - an emphasis on repetition and rhythm, and the winding and unwinding of lines and phrases and words. With each poet writing a separate stanza, we needed something to pull the long poem together, and the language and rhythms do just that. It's hard to believe this poem isn't from a single brain. Delicious things happen in the poem - the sinuous and playful winding and rewinding of the whispering and whiskers of Lily who may or may not be a woman or a cat or a plant... oh memory/metronome who could forget that teasing/tail, the scratch/catches and oh boy, the oboe ... and more, so much more. Such delights! Such fun! Just read the comments to see how much we, and our readers, enjoyed it. We're going to miss the daily excitement. 'Our best collaboration yet', says Janis, and she's right. There were so few technical problems - the stanzas appearing silently, magically, day after day - and each Tuesday Poet who took part, threw in such energy and talent the blog was bursting with it. Still is. Thank you too to the Tuesday Poets who couldn't contribute this time but watched on supportively. We feel privileged to be part of this amazing global poetry community. Finally, thank you to our regular blog visitors and supporters, and to those who simply land here and take the time to read. More details on how we made the poem here. Finally, NZ lost a fine poet this week when Sarah Broom passed away after a long illness aged 40. We were privileged to host one of Sarah's poems on the TP hub over summer, 'All my life.' And her work has appeared on other TP poet sites. Helen Lowe's TP post this week remembers Sarah, and so does Michelle Elvy's. We offer our condolences to her family and friends. Now, do please read the Tuesday Poems popping up in our sidebar throughout Tuesday - where it says 'Tuesday Poem' at a poet link, click and read. Such riches as we head into our fourth year. Mary & Claire. Off to a great start, Harvey! Only two posts - and off to such a great start guys :)love it. Intriguing ... I feel like I'm listening to these two friends converse - in a kind of alternative mirror world where you'd say this sort of thing. I felt ridiculously excited this morning wondering where Helen had gone with her stanza after Harvey's perfect start - and I love it. Am looking forward to tomorrow's with Penelope C. Three weeks of this! Bliss. This really is fun; it's like a cocktail you might try once. Bit of pineapple, shot of vodka, spit of absinthe...and on she goes. By the last post it may be a very rich cocktail indeed. Ah, the pleasures of collaboration. We can play poetry like jazz. . . distinct voices, many layers. Patterns and rhythms rising. Love it. And then there's the shared, as yet unknown destination. Exciting stuff. This is fun looking at the page every day and not knowing what to expect. The mystery deepens. Go Tuesday Poets! I admit to also feeling slightly intimidated this morning as I faced my hour of posting. And somehow, a bit of rhymey-ness seemed to fit the bill. bravo, brava! fun and surprising, each stanza like a chinese fortune cookie treat. Watching this unfurl over the last couple of weeks has been just great. Each day a new turn, a new note, a new and unexpected place we find ourselves. I'm amazed at how well it works -- each poet riffing off the previous one(s) and keeping the rhythms flowing, and yet creating something unique each time, too. Wow, what fun, and what a pleasure to be a part of! So happy to be a member of this talented and creative group. Big smile from Northland! I think this is our best combined effort yet! Great finish, Tim. This was heaps of fun - thanks to those who did the hard organisational bits and Tim for finishing the poem so beautifully. Lovely, everyone! I've been away for several days and not anywhere near a computer and I've just read the finished work. Bravo everyone and kudos for Tim for a very satisfying ending. Tough spot to be assigned but you handled it masterfully, Tim. Tuesday Poets are from New Zealand, the US, the UK, Australia, Italy and Lesotho. 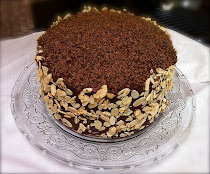 Our communal blog turned three in April 2013. Once you've read the Tuesday Poem here at the hub, check out the 30 Tuesday Poets (max) on our live blog roll. 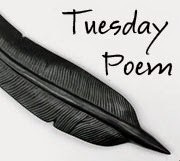 If a post title says "Tuesday Poem" - click to read. Or search for a poet or poem using the search box below. We blog widely but try to post poems on Tuesdays by ourselves or others we admire, and we take turns to be hub editor. All poems are posted with permission. It's an Open Mic event in the blogosphere. Kick back and listen for a while. Our Tuesday Poets who post poems on Tuesdays - click and read! Read an article in the NZ Book Council E-newsletter on the Tuesday Poem.